This timeless rendition will be an outstanding display of your faith and love for Jesus. A beautiful alternative to the traditional cross or rosary, the Eternity Cross has a clear center which holds an authentic Nativity Stone. 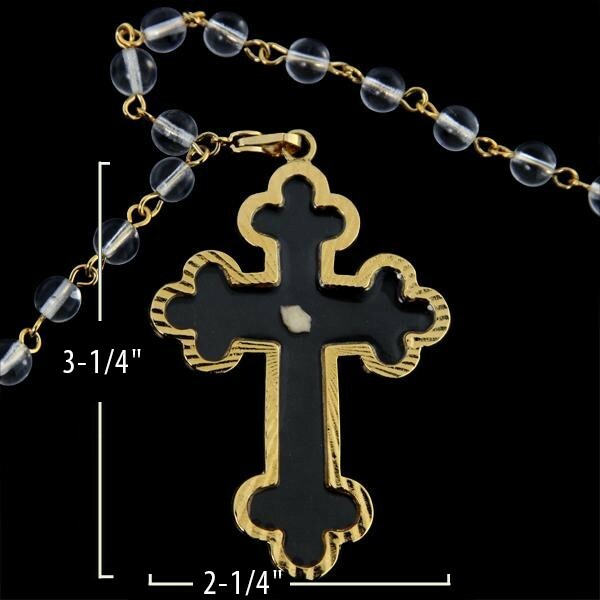 The cross is suspended from an attractive 24-inch glass ball chain. 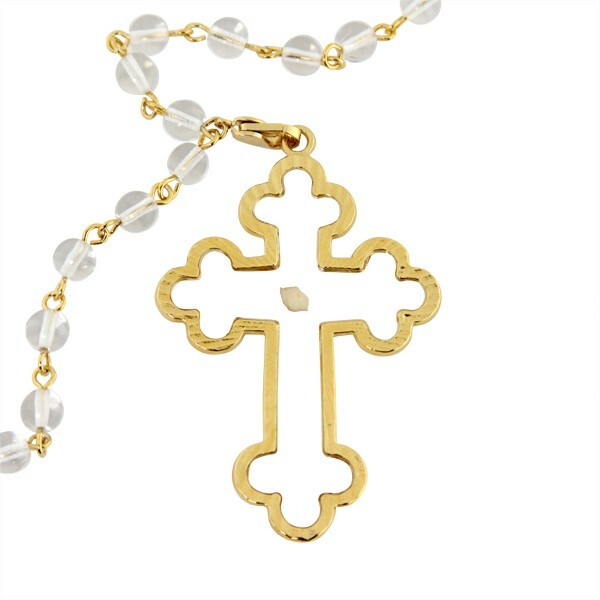 The Eternity Cross makes a very special holy gift of faith for all holidays, including Advent, Christmas, Easter, and First Communions to name just a few.